The hundredth anniversary in April 2017 of the Battle of Vimy Ridge was marked by major commemorative events but also by controversies. Even as a huge Canadian delegation commemorated the battle in France, some critics at home objected to what they called the valorization of war and challenged the legitimacy of the nation-building myth that surrounds Vimy. All of this seems to have been predicted by Tim Cook in Vimy: The Battle and the Legend, published shortly before the brouhaha began. In this his ninth book, Cook, a historian at the Canadian War Museum, shows how the memory of battle was contested from the very beginning. When, in the early 1920s, the decision was made to commemorate the Canadians’ efforts overseas, it was by no means taken for granted that Vimy had been the Canadian Corps’ most significant battle, nor that it would be the obvious site for a planned national war memorial. In fact, the jury that chose Walter Allward’s now-iconic design for the national memorial had initially preferred Hill 62, the site of a now largely forgotten 1916 battle called Mount Sorrel. Meanwhile, Canadian Corps commander Arthur Currie preferred that each of the corps’ major battles be commemorated equally, thinking it quite improper to single out one. In the end, Vimy Ridge was selected in large part through the intervention of Prime Minister William Lyon Mackenzie King. The decision to place Allward’s masterpiece there helped to solidify Vimy in the public imagination as the definitive Canadian battle of the First World War. Nonetheless, Cook argues, Vimy was forgotten for a time in the wake of new victories in the Second World War, only to return to the public consciousness in the dual commemoration of its fiftieth anniversary and Canada’s centenary in 1967. In the fifty years since, the memory and related understandings of the battle have continued to evolve. Recent events suggest that what Cook calls the Vimy myth will continue to be a focal point for argument about Canada’s past. The book works on many levels: as a study of social memory, Canadian culture, and nation-building, but also as a military history. Fully a third of the book is a detailed and often-harrowing account of the battle itself. It is here that Cook brings to bear his immense talents as writer, as he moves effortlessly between command-level decision-making and the experiences of individual soldiers during those four dreadful days in April 1917. In the past decade, Cook has emerged as Canada’s most popular historian. His bestselling and award-winning works on Canada’s experiences in the world wars have captured the imagination of thousands of readers. 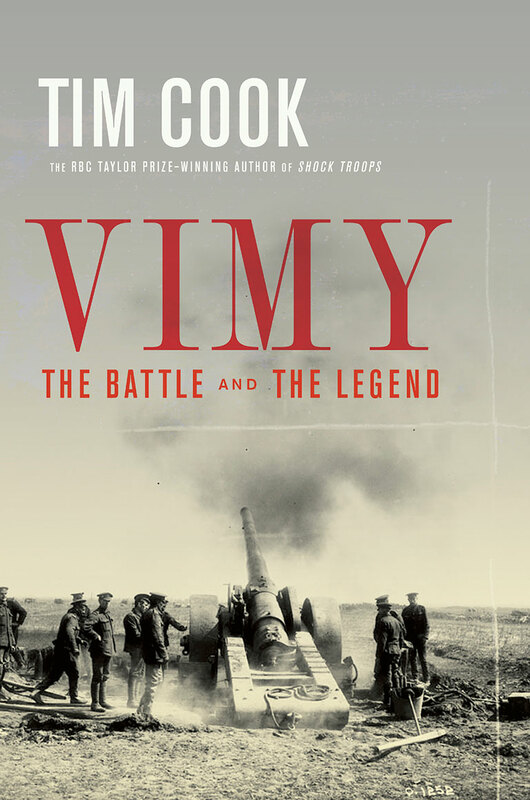 Inevitably, however, books such as Vimy, which is aimed at a mass audience, provoke sometimes acrimonious and often needless discussions about the merits of “popular” versus “academic” history. With Vimy, Cook once again demonstrates that there is no necessary divide between the two. Vimy is at once a bracing read that can be enjoyed by the reading public at large and a serious work of scholarship that makes extensive use of archival sources. If the resulting book is a “Vimy trap,” I am a very happy captive of it indeed. This article originally appeared in the February-March 2018 issue of Canada’s History.